Comment: Galvanized Gutters - Repair - please call for details thanks. Comment: One side of my gutter fell down, and need repair and put it back. Comment: We had new gutters and downspouts installed back in March 2018. Weâve had nothing but problems with clogging and overflowing ever since. I installed the previous gutter,downspouts, and leaf guards myself circa 1990. We need something to remedy this before fall hits. Comment: I need about 22 feet of gutter and a downspout installed for an under deck ceiling system. Above & Beyond Gutters, Inc.
Coopersburg Gutter Cleaning & Repair Services are rated 4.81 out of 5 based on 749 reviews of 19 pros. 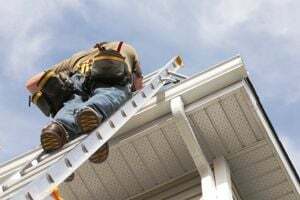 Not Looking for Gutters Contractors in Coopersburg, PA?